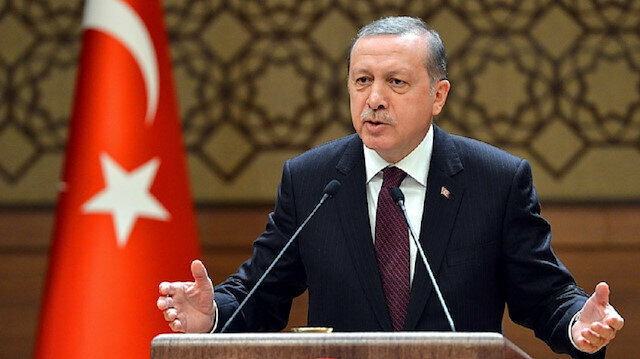 Turkish President Recep Tayyip Erdoğan on Friday said that the country’s growth for the year 2018 would exceed expectations. “God willing, we will once again teach those who try to present Turkey as a sunken, dead country their lesson. Despite the plots set up against our country through the foreign exchange, interest rate and inflation, the growth for 2018 will once again exceed expectations," he said at an AK Party meeting in capital Ankara. Erdogan said Turkey's economy grew 7.4 percent in 2017 compared to the previous year, adding that Turkey now has the world’s 13th-largest economy based on purchasing power parity. For 2018, the current World Bank estimate for Turkey's growth is 3.5 percent. Erdogan also touted the government’s dedication to fighting inflation, saying that over 16 years of AK Party rule, the average inflation rate was 9.5 percent, far better than previous governments.